We arrived in Tampaksiring, entered the Temple and what we saw made us totally speechless. Hundreds of people were standing in a big ancient pool. Waiting for something to happen… Everybody looked in one direction. We came closer and closer and recognized some were already shaking and freezing in the water. The closer we got, the more people appeared. This scene was amazing to see, we can recommend everyone to visit this temple! If you (like us) don’t have years to spend on Bali (and maybe not that much money) you should know where to go – which means whats really worth it and what you can skip. Look over our shoulder and get to know the Temples of Bali. Uluwatu Temple, one of six key temples believed to be Bali’s spiritual pillars, is renowned for its magnificent location, perched on top of a steep cliff approximately 70 meters above sea level. “Ulu” means the “top” and “Watu” means a “stone” or a “rock” in Balinese. Uluwatu was the first temple we visited in Bali and it’s worth the visit. The view over the Ocean is gorgeous. It’s a perfect spot to enjoy a beautiful sunset. Plenty of cute monkeys are hanging out around. Tirta Empul is one of the largest and busiest water temples in Indonesia. The temple was founded in 926 A.D. and is dedicated to Vishnu, the Hindu God of water. Tirta Empul meaning “holy water spring” is the name of a water source located in the temple. When we visited Titra Empul, the purification pools were overflowing with Balinese people and some tourists. The water is believed to have magical powers and people come here to purify themselves under the water spouts. It was just a perfect moment, glad to have seen that. Well, Tirta Gangga is not a temple, it is a water palace which features fountains, gardens, and stone sculptures of mythical creatures spouting water into bathing pools. The garden is REALLY beautiful. Entrance Fee: Rp 10 000 (less than $1 AUD) (Rp 30 000 if you want to take a bath in the pools). Goa Gajah is carved into a rock face and you enter through the cavernous mouth of a demon. Inside the cave, you can see fragmentary remains of the lingam, the phallic symbol of the Hindu god Shiva, and its female counterpart the yoni, plus a statue of Shiva’s son, the elephant-headed god Ganesha. Goa Gajah is located six kilometers out of central Ubud. Do not expect to see elephants in this temple or anything else! The cave is tiny, there is actually nothing to see inside. The temple is beautiful but not so charming. It was pretty disappointing, so- you can skip it if you want! Gunung Kawi Temple is an archaeological site, comprising a collection of ancient shrine reliefs carved into the face of a rock cliff. The main site overlooks the sacred Pakerisan River, which also flows by the Tirta Empul Temple a kilometer up north. The Gunung Kawi Temple has 10 Rock-Cut “Statutes” curved into around 7 meter high cliffs. When you stand in front of it, you actually realized how massive and huge it is. Apart from that, there’s nothing different or new to see. So consider the visit. Tanah Lot Temple is famed for its unique offshore setting and sunset backdrops. 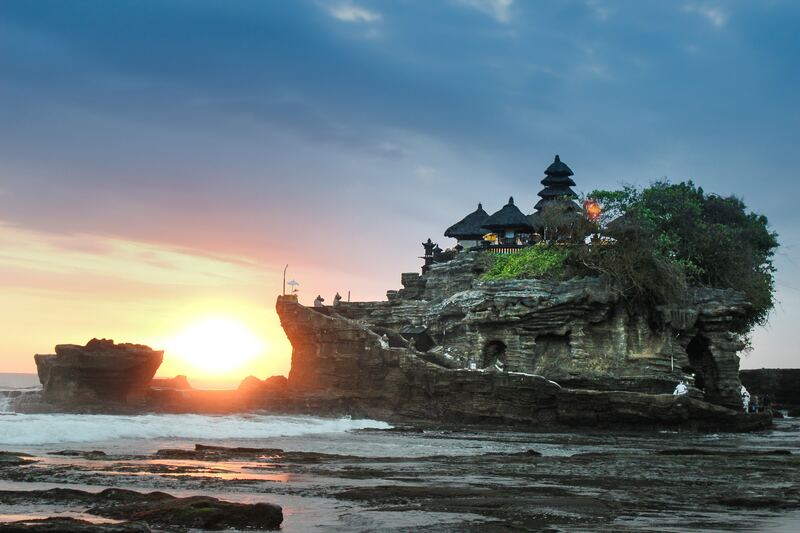 It is an ancient Hindu shrine perched on top of an outcrop amidst constantly crashing waves. The temple is located in the Beraban village of the Tabanan regency, an approximate 20km northwest of Kuta. How life sometimes crosses your plans, right? You know what I’m talking about, do you? So we had planned to visit Tanah Lot but unfortunately, we spent more time traveling by scooter from A to B so we decided to move on. This meant – skipping Tanah Lot and going up North. We both would love to see the temple, a lot of friends told us about it. So make sure you make time for Tanah Lot. Thanks for reading! Which temple would you like to visit? Which one is your favorite? Comment Below! P.S. 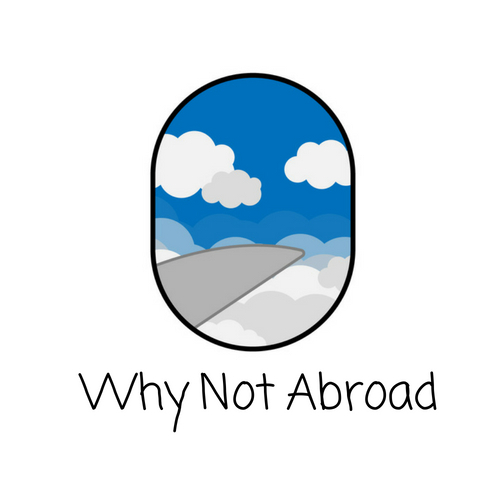 : If you have any question about things we’re writing about, or about your next adventure in Bali, shot us a message, we love to connect with fellow backpacker! VISITER GEORGE TOWN À PETIT BUDGET C’EST POSSIBLE! HÉBERGEMENT – RESTAURANTS – BIÈRES… ON VOUS DIT TOUT! RESTAURANTS LOCAUX, À PRIX LOCAUX – OÙ BIEN MANGER À LANGKAWI, MALAISIE!